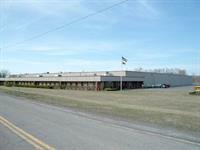 Jamestown Container Companies operates five facilities throughout Ohio and New York, and services businesses in Northeast, OH; Western, Central & Upstate, NY; Northwest, PA; and Ontario, Canada. 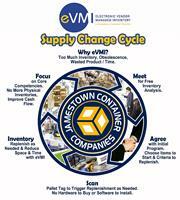 In addition to custom corrugated packaging products, Jamestown Container offers retail packaging & POP displays, custom foam packaging, stock boxes, packaging supplies, vendor managed inventory programs, contract packaging, and order fulfillment services. Today we still offer the same simple brown box that started it all. We also offer just about everything else your business requires for its packaging needs, and have professional affiliations that have allowed us to serve customers with multiple facilities around the globe. From simple brown shipping boxes to high-end retail packaging and POP displays, our expert team is able to help your business find the solution to any packaging challenge you may face.